FIRST CHURCH OF CHRIST, SCIENTIST, was designed by New York City architect, Fred R. Comstock, and is patterned after the "Mother Church" in Boston. Comstock designed several Christian Science churches, including the Second Church in Kansas City, which stood until 1955 at 31st and Troost. It was very similar to this building, which is based on the Beaux Arts style, wherein classic architectural elements, such as windows and bays, are "reorganized." Construction began in 1899 and completed in 1906. 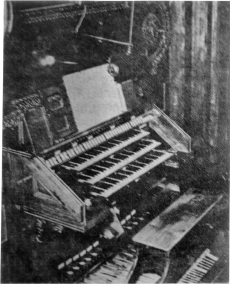 In 1907, Hook & Hastings, which in the previous year had installed one of its largest organs (IV/92) in the Mother Church (Opus 2107), installed this organ as their Opus 2151, comprising 31 ranks across 3 manuals and pedal. It is the last of seven organs installed in Saint Joseph by the Hook firm over a 34 year period, beginning in 1873. For more than half a century, it was the largest organ in the city. Like the Francis Street Church organ, installed a year earlier, tubular pneumatic action was employed, although the console has always been in close proximity to the case. Between these two instruments, representing four years of construction, are three different chest designs. 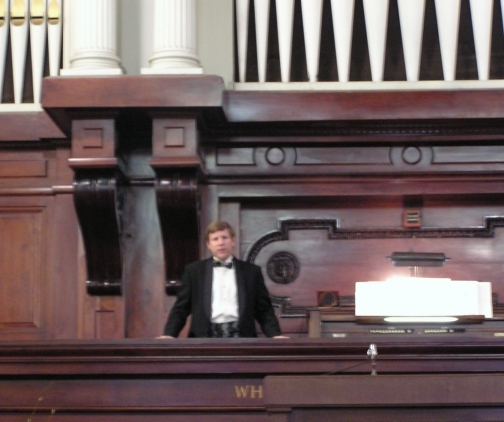 The original Francis Street installation utilized the historic slider chest design, while the Christian Science organ and the 1911 additions to the Francis Street organ function on two different versions of pitman chests, representing the transition that was taking place in American organ design. These two remaining Hook organs share the distinction of being two of few that utilize early versions of pitman chest action, which Hook used for only a short period of time before turning to ventil chests. Except for water damage repairs, both organs continue to function on original chest leathers. Hook consoles did not stand the test of time. The Francis Street Church console was gutted and rebuilt during the electrification in 1935. 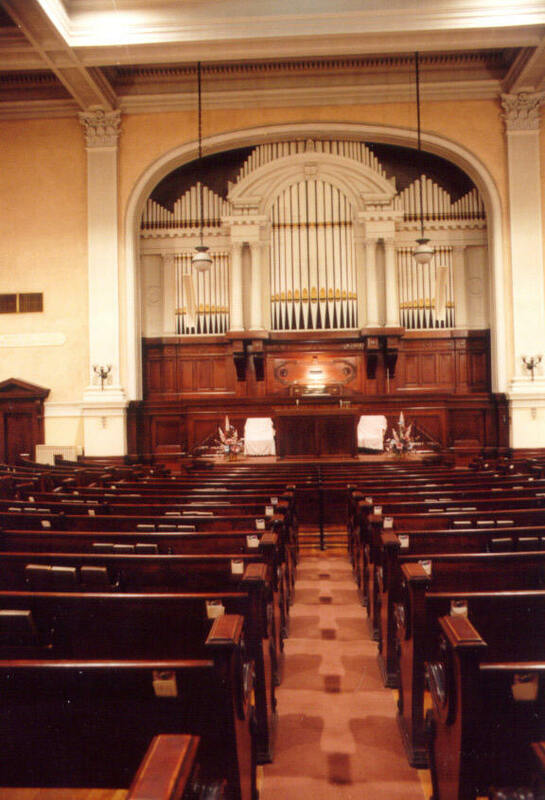 In 1955, the sluggish tubular action and original console for this organ were replaced with electro-pneumatic primary action boxes and a new console manufactured by the Reuter Organ Co. With the exception of these mechanical changes and the repitching of the Great Mixture, this organ, like the building, remains substantially unaltered since its completion. The magnificent organ case is an outstanding example of the emerging Beaux Art style, wherein the organ pipes are interspersed among major architectural details. 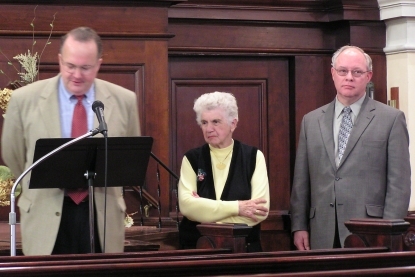 In 2002, the building was purchased by the St. Joseph Museum, Inc. In 2004, it was subsequently purchased by Ed and Linda Hood, who also own the former Church of Immaculate Conception (Twin Spires). It continues to be used for weddings and other events, in addition to a meeting place for the remaining congregation of the church. 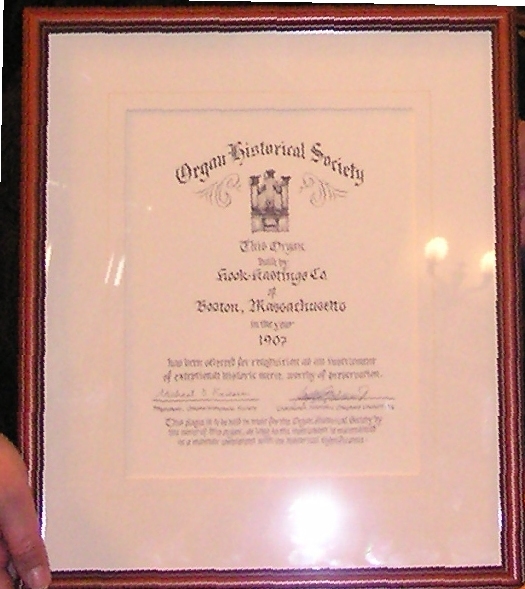 On October 17, 2004, the Organ Historical Society awarded the 325th Historic Citation to this instrument in conjunction with a recital by Kevin Kissinger of Kansas City. LEFT: GREAT DIVISION, First Church of Christ, Scientist, holding (left to right), “Trumpet”, “Mixture” (comprised of 3 ranks), “Fifteenth”, “Octave”, “Doppelflute” (these wood pipes have two mouths), “Gamba” and “Open Diapason”.